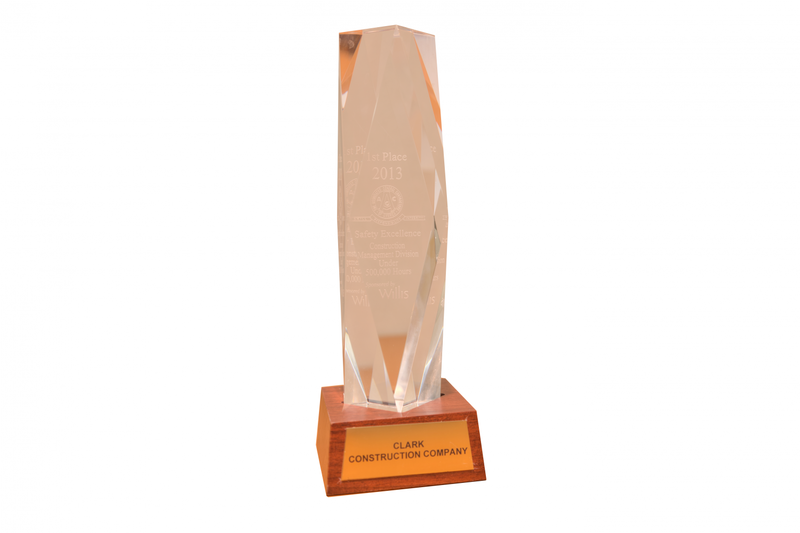 The real prize in Clark’s awards is peace of mind. A a safe work place is priceless for the loved ones that welcome our team members home at the end of the day. A quality project is one that you will appreciate for many years in the future. An ethical company can become a trusted adviser. 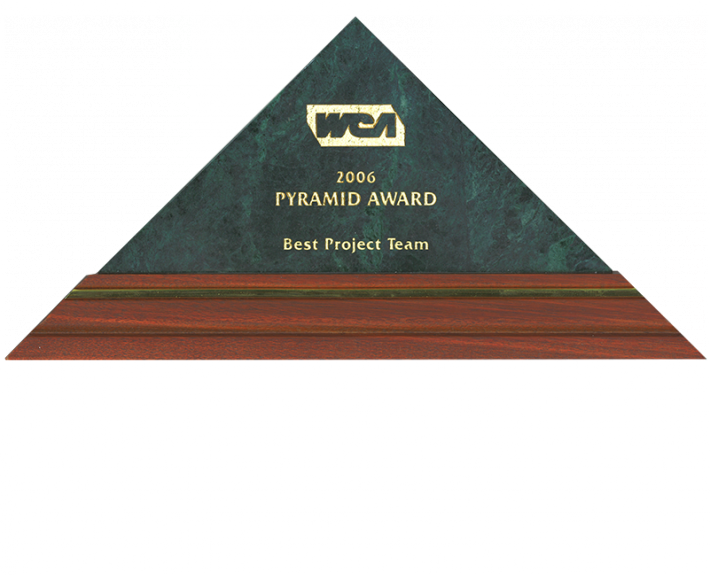 Awards validate the safety, ethics, and quality that we commit to every day. 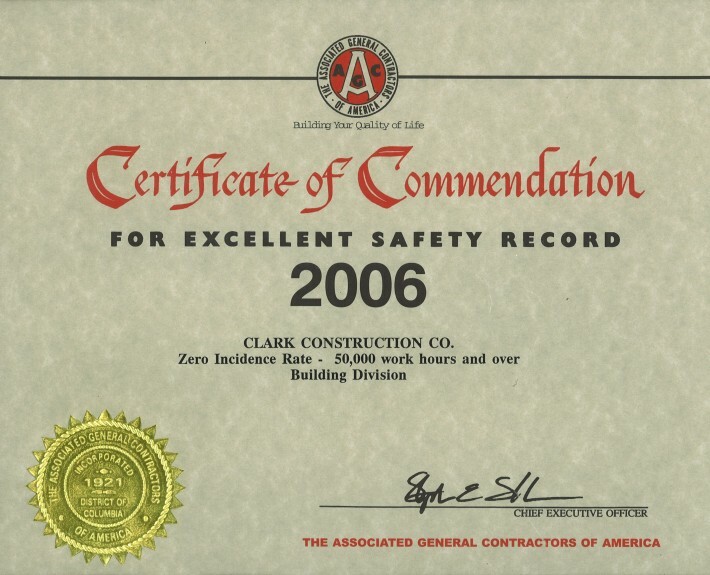 The AGC Construction Safety Excellence Award is a momentous achievement for Clark Construction, formally recognizing Clark’s commitment to a safe work environment for its employees on a national scale. 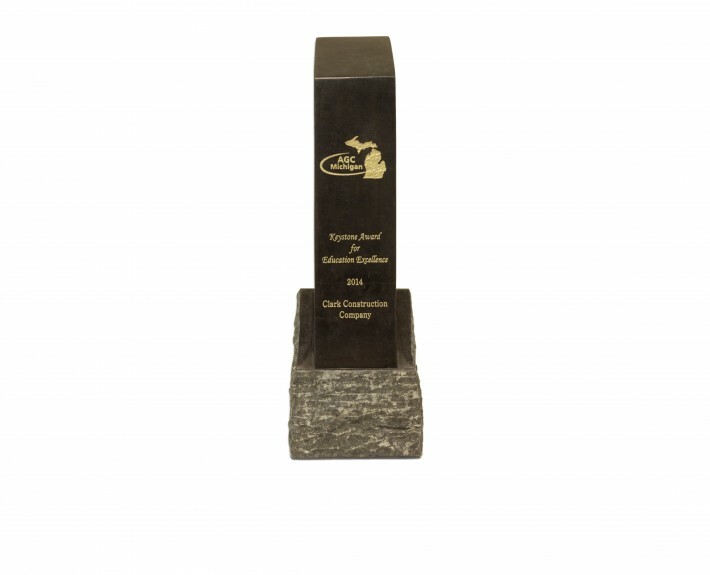 This prestigious award not only recognizes excellent safety performance, but also effective safety programs from contractors who are committed, comprehensive and unique in their methods of achieving a safe workplace. We finished in first place against all other safety programs in our class. Awarded 2017, 2015, and 2013. The Keystone Award for Education Excellence honors exceptional and innovative professional development programs for construction supervisors, managers and executives. Programs considered offer education to construction site foremen, supervisors, superintendents, project engineers, project managers and/or construction executives. 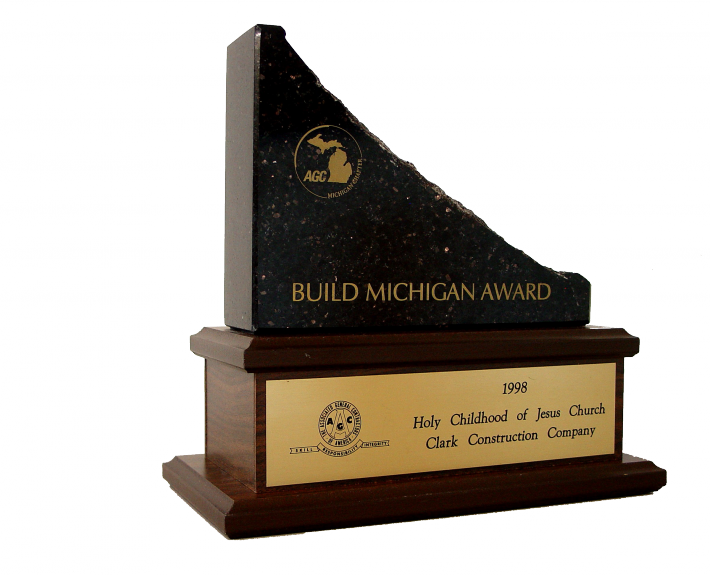 Clark Construction Company won the award for having achieved nine years and 2.5 million work hours without lost time due to injury. 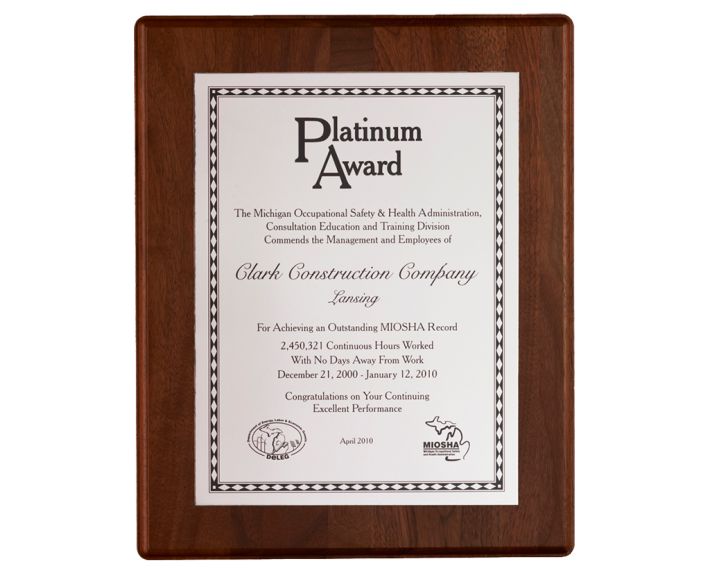 The platinum level honor recognizes a minimum of five years without a lost-time accident, and was the first contractor in the state to win the award. Clark Construction Company is the only construction firm in the nation to receive this national recognition for ethical business practices. 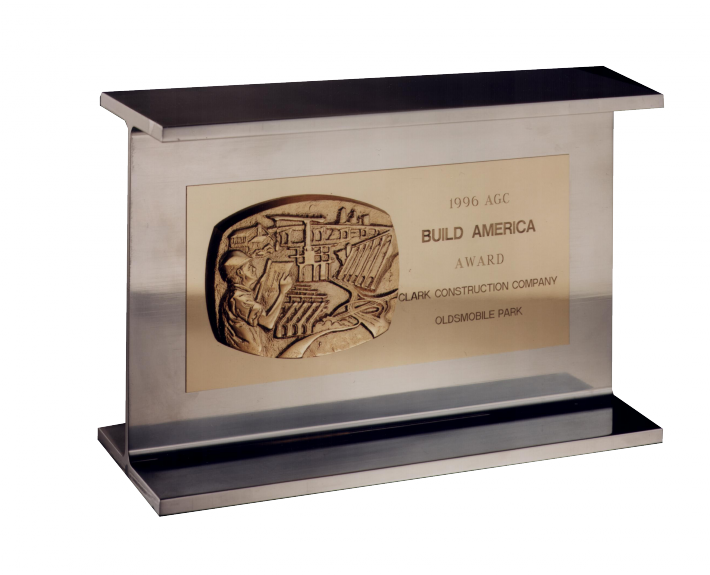 Clark Construction Company is the only construction firm to receive this national recognition for ethical business practices.